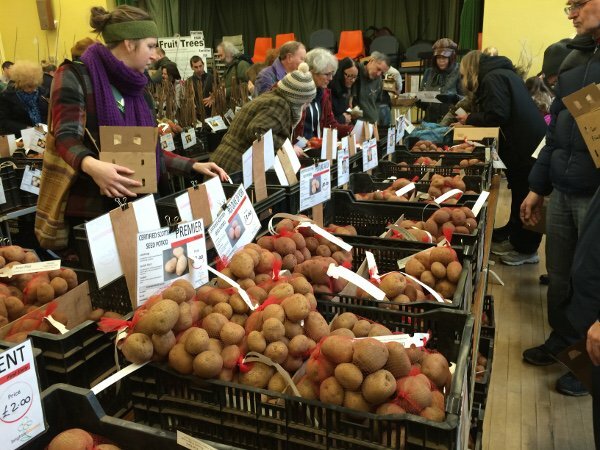 A reminder that it's Marple Allotment Association Seed Potato Day on Sunday! We are hosting a Potato Day on: Sunday 10th February 2019 from 10:00am until 2:00pm. The object of the day is to make available a large selection of seed potatoes to the allotment plot holders and members of the public. There will be over 90 varieties of seed potatoes that can be purchased in one kilo net bags. Each bag is labelled with the name and attributes of the variety. See Other Plants for the full list. Brighter Blooms Based in Walton-Le-Dale near Preston. Matthew was awarded a RHS Gold at the Chelsea Flower Show 2015. We have invited her to come back again this year. Angela is from: Woodruff Nursery Based in Wincham near Northwich. Delicious Home made cakes, teas & coffees will be available throughout the day. We are aiming for sustainable (plastic free) packaging.